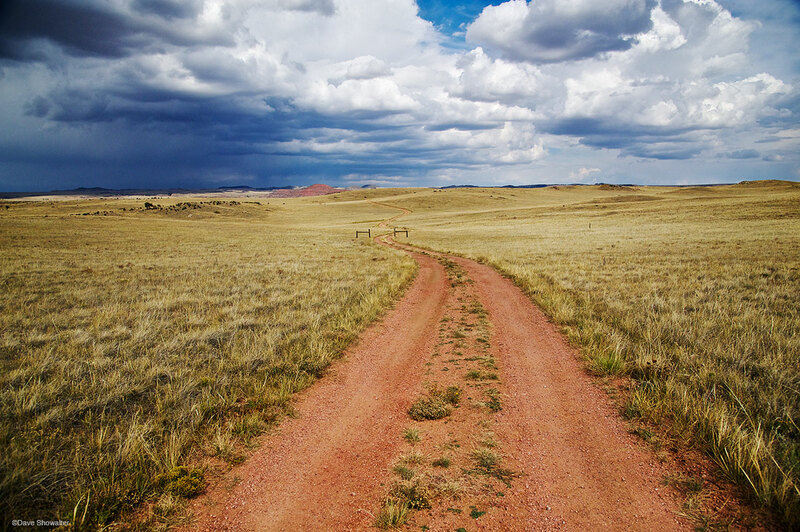 A two track road leads from The Nature Conservancy's Phantom Canton Reserve towards a building spring storm over the Laramie Foothills' shortgrass prairie. This area is rare, rich in free-roaming wildlife, a patchwork of private and conserved land near the North Fork of The Cache La Poudre River. Photo © copyright by Dave Showalter.